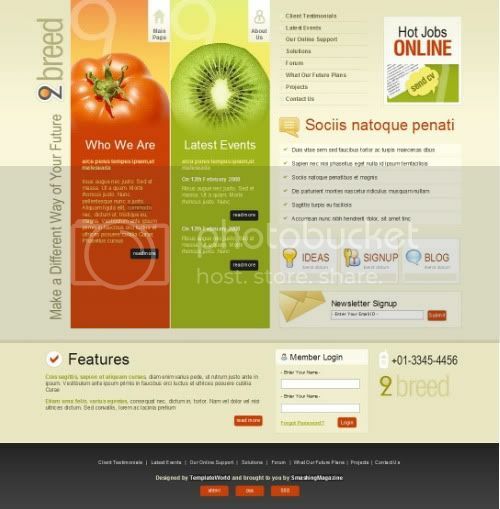 As I know, no all of the web design beginner really understand how to make a good and useful web templates. There a few ones that don't understand about CSS and web programing which need a special skill to do that, include me. Perhaps, some people just like to modified the website template without worrying about the code. Just change the picture and logo as they want and that's all. So, in this post I want to share a free website template for those who don't really understand the web code programing. All of these template was on the .zip archive and you can find the Psd and (X)HTML/CSS files. So, you can explore the code and change it as you desire. Enjoy.....and download it for free. Its so highly informative things are posted here. These things are the fresh and good information are posted here, and also am seeking for this kind of information thanks for updated..
Really all templates are awesome. Free HTML templates for you. Pick it up and start designing and developing. hay guys..thanks a lot for your appriciete....really glad to hear that..
"Great compilation! Thanks a lot for putting it all in one place, but there is another one to add to your list. Though, not exactly a psd to html conversion article, but one must keep these tips in mind while coding a PSD into search engine as well as user friendly web layout. You have put your best effort in this post and Your blog is different. If you want to Convert your sites PSD to XHTML, PSD to HTMl, W3C Valid XHTML, PSD to Drupal and more so please visit our site and contact our sales team for any quotes. Thanks for sharing your good knowledge with us. Keep it up. The whole collection is very useful! Thanks for sharing the post. The templates are awesome. Though you can also download templates from different web sites for free. But I prefer to create templates by coding. Wow! Wonderful template. Thank you so much for sharing. www. itemplatez.com at easy to downloads. Very nice templates, you had nice effort. All of these are great templates but my favorite one is the number 2, a Dusky Template. Reminds me of Twitter, which is perfect for a branded blog and/or site! All the templates are wonderful. I am stuck on designing a Twitter background for days now and I'm sure it will be of a great help. Especially the 2nd one. I wish more people were like you and share great stuff like this. Cheers! Great to see this, I was looking for the same kinda article. Nice five template. Hello, Beautiful blog with nice informational content. This is a really interesting and informative post. Good job! keep it up, hope to read your other updates. Thanks for this nice sharing. Very nice and amzing post you have posted here thank you for it. Actually I search the best Templets. Now I get from the best Five. Great! nice collection of templets and Thanks for this informative and nice blog. That was weird, my comment got eaten. Anyway I wanted to say that it's nice to know that someone else also mentioned this as I had trouble finding the same info elsewhere. This was the first place that told me the answer. Thanks. selain tiu ada lagi ga bos?? 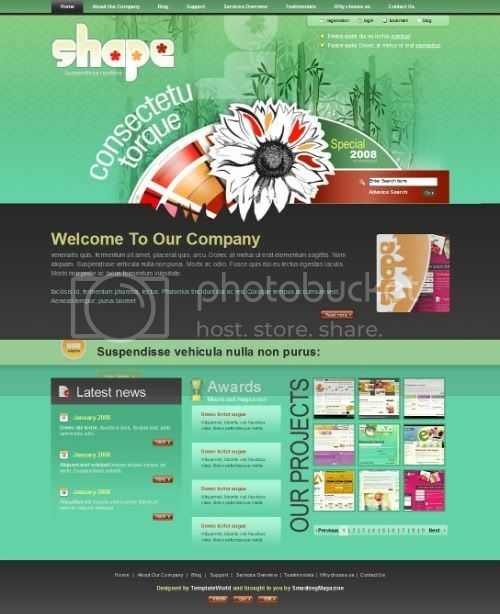 Very awesome templates..never seen like that before..
After seeing that, it became a challenge for me to create like one of those fantastic designs..
All the templates are really good but i like the Solitude Template most. I was wondering if you ever considered changing the layout of your blog? It's very well written; I love what you've got to say. Good design of website. I like them. Thanks to your editors for posting interresting and updated info. I have appreciated reading this. Thanks for sharing! Fantastic article. I'm glad to see such a strong community response. I always enjoy picking up these templates, and going into Photoshop to mess around. It's a fantastic learning experience! It is very effective article with the information of world wide.It is well written and effective also it is very informative.I really feel so good after reading your content AS I like to share. I really love the way information presented in your post. This site contains news and information on this that is constantly being updated. These are all great themes, especially the anime themes. I like the Solitude Template. It's really simple but very artistic. I'll definitely use this template. I really gets motivate to read your blogs and agree with your point of view. Thank you for sharing. Welcome to look at my website and blog articles. Fantastic templates! Really professional and modern!This is really a great inspirational resource for me..Thanks for this great collection..
Well the templates are of real good standard, however I think a little more work could have been done to it. All of the templates are good and thanks for the psd version. Awesome Template. Thanks For Sharing. Thank for you that provide space to leave comments, helpful for me to connect relationship to other people. i like your template.. thank u for posting. A very informative and interesting template.Thanks so much for these wonderful sharing. Your post really for them those who don't understand the web code programming to make website template. Good job, all your creation is best. Thanks for sharing. Thank you very much for this knowledgeable and constructive post.It is really a fabulous job. Wow! Really Awesome and creative template psd. 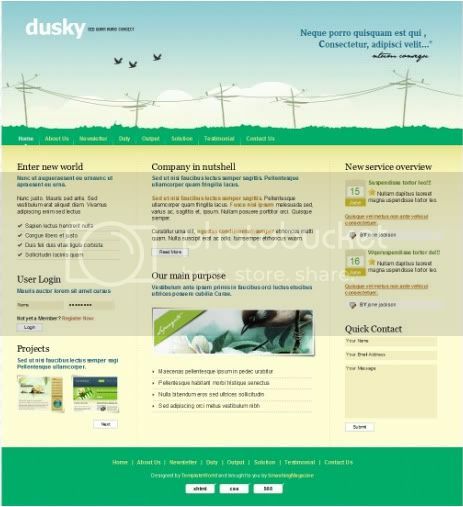 thanks for sharing with us ..
Really nice and creative HTML website template PSD design here. I love these design .thanks for sharing with us . Really good template it's professional. wonderful PSD HTML templates . Thanks for sharing with us . Thanks for sharing such nice useful post. Nice post on website design that can help a new developer a lot to work with HTML. Thanks for the important share it will help us on the designing no one share this kind of content todays. You are great. I have seen the template it's looking very creative . I will follow your template . Thanks for shared it on public . Very well . I liked this psd template . Keep continue sharing such nice post . Excellent website template .Nice tips and tricks, very informative and helpful. Nice tips and tricks, very informative and helpful tutorial. All the templates are really very good but i like the Solitude Template most.i really like this blog.And i got more information's from this blog.thanks for sharing! Wonderful article, Its really amazing, I really enjoy your article. 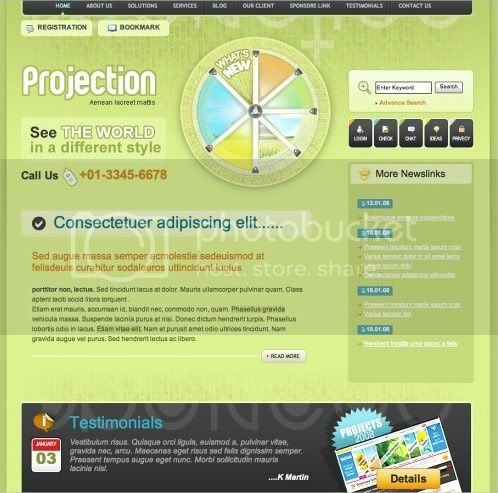 Excellent website template .Nice tips and tricks, very informative and helpful..